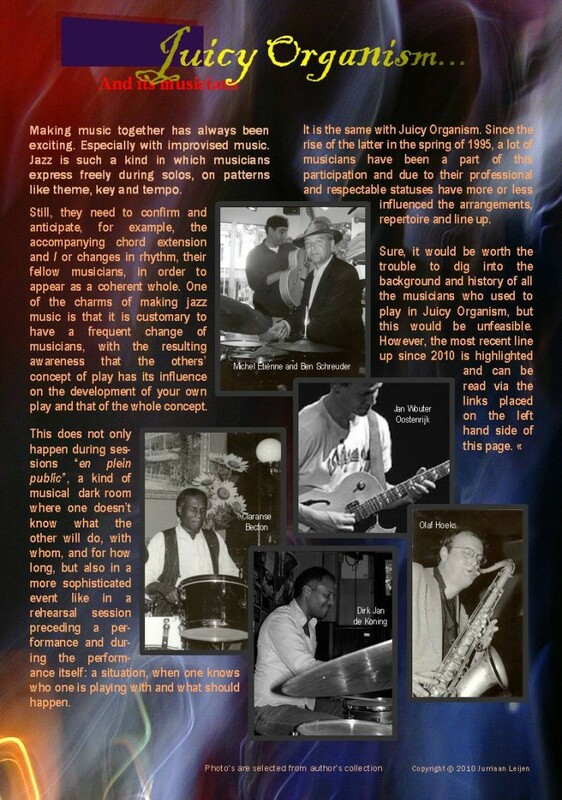 Since the rise of Juicy Organism in 1995, a “nitty-gritty” trio with organ, guitar and drums, as the smallest, most basic unit in jazz, has always been the most convenient setting. However a horn player, added to the trio, gives more dimension and diversity to the repertoire. 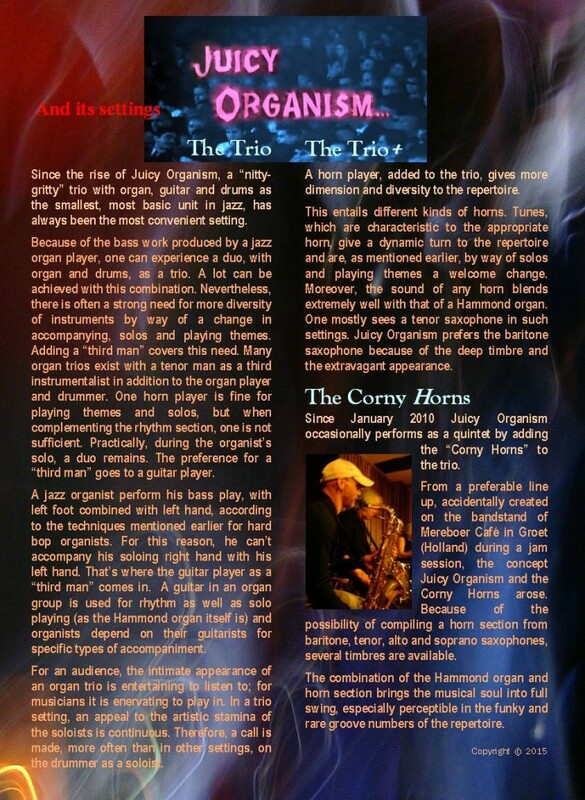 Since January 2010 Juicy Organism occasionaly performs as a quintet by adding the “Corny Horns” to the trio. 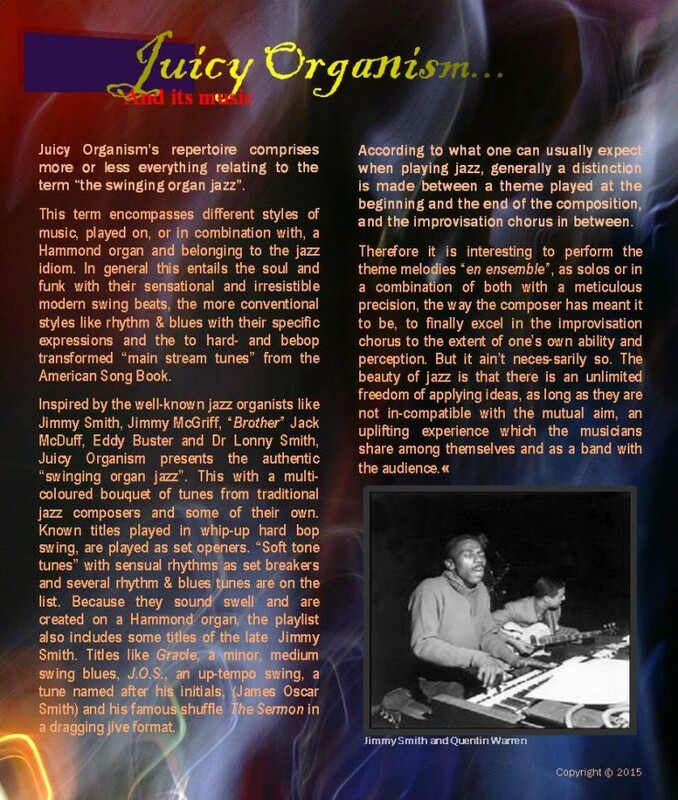 Juicy Organism’s repertoire comprises more or less everything relating to the term “the swinging organ jazz”; a multicoloured bouquet of tunes from traditional jazz composers and some of their own. The irresistible rhythms of the funk and rare grooves related to the sixties and seventies take up an important place in the repertoire. Juicy Organism in the present or who joined in the past.